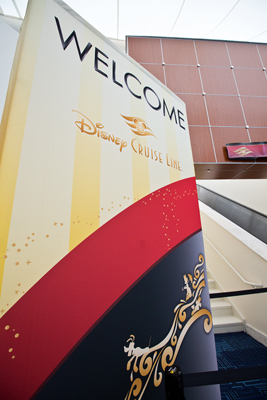 So you finally booked your first Disney cruise? You probably have a million questions, and hopefully this blog has previously answered a lot of them. My last blog post hit on some Do’s and Don’ts for booking, and here are some Do’s and Don’ts for your very first cruise! 1. Don’t Plan to Come in the Day Of – Don’t do it! It may be cheaper, it may save you some time, it may work better for your schedule – it’s not worth it the risk. You need to get at least to within striking distance of the port the night before. Don’t let a flat tire, a minor flight delay resulting in a missed connection, a cancelled flight, or anything else make you miss that ship!! The people on board will be very sad for you, but they will not wait. Once that ship has sailed, you have missed your vacation. I’ve almost missed it! A 30-minute flight delay due to wind made us miss our connection and we couldn’t get in until the next day. But yay for us, we were coming in the day before! Give yourself some cushion time to make it there. All the cool kids do. 2. Do Get Travel Insurance – I know you are probably tired of hearing me say this, but I’ll say it again. Get travel insurance. A cruise is not like a land-based vacation where a delay in travel will usually just mean your vacation starts a day later. If you miss that ship, you have missed your vacation. 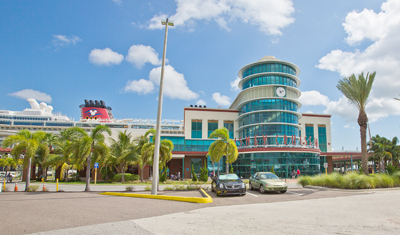 A cruise is also not like a trip to Disney World, where an illness or accident means you may have to give up some vacation time to run to the doctor. Many health insurance companies do not cover travel abroad. An illness or broken arm can cost thousands of dollars. Something more serious can run into the tens of thousands. It’s not worth the risk! 3. Don’t Book a Return Flight That’s Too Early – Each port has a different rule for what time your flight on disembarkation day can leave. Make sure you don’t book one earlier than that for several reasons. If you are taking Disney transfers, they don’t usually make exceptions, and you’ll have to find a different option to get to the airport. On a normal day, there’s plenty of time. I’ve made 11:35 departures out of Orlando International (from Port Canaveral) with an hour (or two) to spare, and Disney recommends nothing earlier than 11:30 there. The problems start when the ship is delayed for some reason. Rarely, the ship takes a longer than expected to clear customs, and disembarkation starts later than it should. Sometimes it’s something more serious, like fog getting back into Galveston, or a medical emergency the night before. That can delay the ship several hours! Disney has a lot of experience with this, so minimize your risk and take their word for it on flight times. 4. Do Check in Online ASAP – Do check in online as soon as your booking window opens! For you first time cruisers, that’s 75 days before your cruise. Scott Sanders has a handy calculator on his website to help you determine that exact date. Remember, you can check in online when the clock strikes midnight for that date. 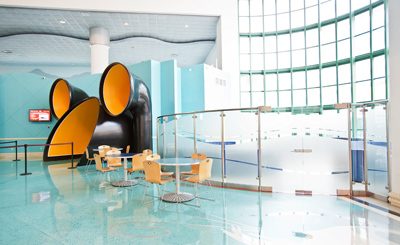 The earlier you check in, the more choices for port arrival times there will be. Port arrival times directly influence your boarding time, so if your goal is to board early, the earlier time you pick the better! 5. Do Pre-book Excursions and Activities – When your booking window opens, you can also book excursions and other activities like character meet and greets, adult-only restaurants, spa reservations, nursery reservations, mixology and tastings, and Bibbidi Bobbidi Boutique. Some of these will fill up, so if you think you will want anything at all, book it. You don’t pay for them at time of booking; they are charged to your onboard account. You can also cancel them up until three days before you sail, so there’s no risk in booking early. Just make sure you cancel in time if you decide you don’t want to do them! 6. Do Try to Get Anything You Missed Once You Board – You’re a first time cruiser, let’s be honest, some things will be sold out by the time your booking window opens. I’m looking at you, Palo brunch. The good news is that Disney holds some availability back to book on board. If you missed something important, board as early as possible, and go to the designated booking location (which will be listed in your Personal Navigator, a guide listing the daily activities, that you receive when checking in at the terminal) immediately after boarding. If you are on late dining, and were hoping to switch to early dining, this is your last chance to try to switch. There are also waitlists available for many things! 7. Do Read That Navigator Carefully – Read that Personal Navigator carefully after you get it! Read it every day, but the first day is especially important. It may list some activities that were not available to book before you boarded, and you need to sign up for ASAP. If you are on Very Merrytime Cruise near the holidays, for example, you may see things like gingerbread cookie decorating. It’s not happening the first day, but it is a ticketed event, and they pass out (free) tickets the first day. They’ll run out, so don’t miss it! The Navigator will appear in you room every night after that. 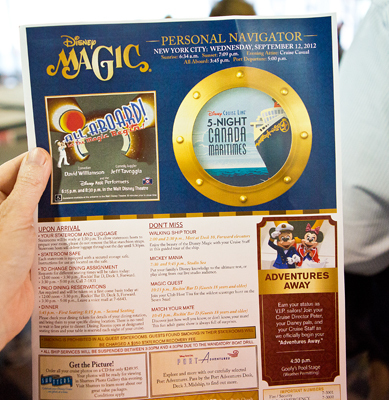 Once on board you can use the Disney Cruise Line App (which you’ll want to download before you get to the port) or the Navigator to keep track of the daily activities. Whichever you prefer! 8. Don’t Forget Your Proof of Citizenship – This is perhaps the most important Don’t right here. Do not, under any circumstances, leave home without your proof of citizenship. Anything else you forget, you can buy on board. If you forget your clothes, you may be wearing Mickey underwear, but you’ll be on the ship. If you forget your proof of citizenship, unless you can scramble and someone can get it to you, you’ll be waving at the ship as it leaves port. I speak from experience. It’s true, I forgot my passport at home. I realized it at about 5:00 p.m. the night before our cruise left on a Sunday. Luckily, I was sailing out of Port Canaveral on a closed loop cruise (which is a cruise that starts and ends in the same U.S. port), and a government issued photo ID and a copy of your birth certificate is acceptable proof of citizenship for Americans. My husband, while laughing at me (a lot–no I mean, really, a lot), made a photocopy of my birth certificate, emailed it to me, and concierge at the Contemporary printed it off for me. Crisis. Averted. Pro tip – keep a copy of your birth certificates in the cloud. Just in case you are ever on a closed loop cruise and leave your brain, I mean proof of citizenship, at home. 10. 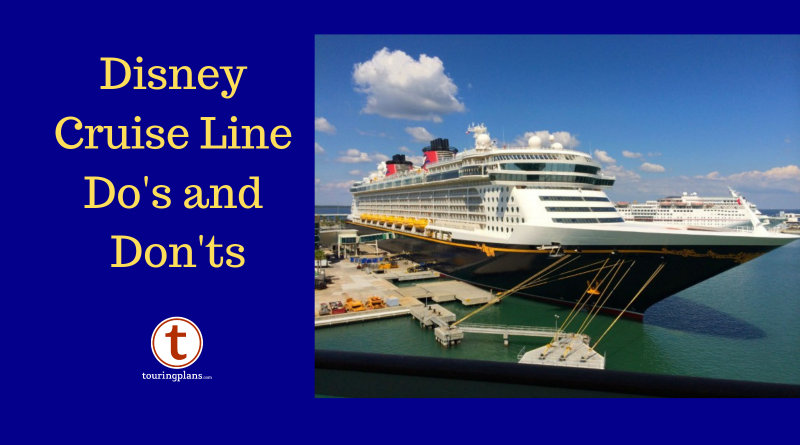 Do Book Your Next Cruise While On Board – If there is any chance under heaven that you will sail with Disney again in the next two years, book your next cruise on board. You’ll save 10% off your next cruise (unless sailing concierge), get a nice onboard credit, and pay a half-price deposit on longer cruises (unless sailing concierge). You don’t have to know a date. You can book what’s called a placeholder and as long as you choose a date and sail within 24 months, all the benefits will apply to the new sailing. If you don’t get a chance to use it, your deposit is automatically refunded back to your card. Bonus – A previous blog post I wrote may help you with some unfamiliar cruise terms! As a military spouse, I’m used to acronyms and other terms I’m not familiar with being used pretty much on a daily basis. Military members spend all day speaking to each other like that, and forget everyone else in their lives doesn’t! Well, experienced cruisers tend to do the same thing with first timers. So maybe that post will help you decode the secret lingo. Did I miss anything? Do any first timers have questions? Ask them here!